In 2012 the Traditional Irish Horse Association (TIHA) was founded by the present National Council. It was established as a Limited Company and operates on a non-profit making basis. Most members of our National Council are breeders as are many of our 600+ members. 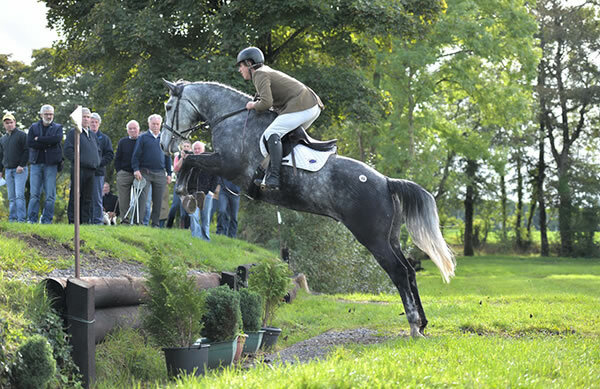 In recent decades there has been a reduction in the number of Traditional Irish Horses being bred, and in the number performing at the highest levels of showjumping and eventing. Many good young TIH mares have been sold for export rather than retained for breeding and genetic diversity is an issue in the TIH stallion roster. Access to the global stallion market has provided both opportunities and challenges for TIH mare and stallion owners and significant changes to the sports of showjumping and eventing have occurred in recent decades. A combination of these factors has led to the reduced presence of the TIH in the Irish Sport Horse population and at the highest levels of showjumping and eventing. The Traditional Irish Horse Association was founded to raise awareness of the TIH nationally and internationally, to ensure it’s recognition and identification within the Irish Sport Horse studbook and to improve the standard of its breeding and production. Based on its research, TIHA has concluded that addressing the breeding issues through a national breed development plan will improve the breed and produce economic and cultural benefits for Ireland. By collaborating with stakeholders throughout Ireland and abroad, TIHA will use its’ passion and advocacy to help breeders conserve and develop the original, classic, Traditional Irish Horse in order to secure its future availability for all its markets. Your support can make a difference. TTIHAs’ vision is to gain broader recognition of the importance of Traditional Irish bloodlines in Irish Sport Horse breeding and in the equestrian marketplace. Our immediate strategy is to ensure the conservation and improvement of TIH bloodlines through the development of a National Breeding Plan and to support responsible TIH breeding and improved production for all its’ markets. It aims to promote and enhance the reputation of the Traditional Irish Horse as a performance, amateur and leisure horse of quality and distinction and ensure its’ availability for future markets and generations. The mission of the Traditional Irish Horse Associations is to conserve and develop our traditional bloodlines so that the unique Traditional Irish Horse remains part of the global equestrian industry at all levels. We will ensure the breeding of the Traditional Irish Horse continues as an integral part of the Irish Sport Horse industry and will support TIH breeders through research, education and promotion of the breed and through our breeding development plans.